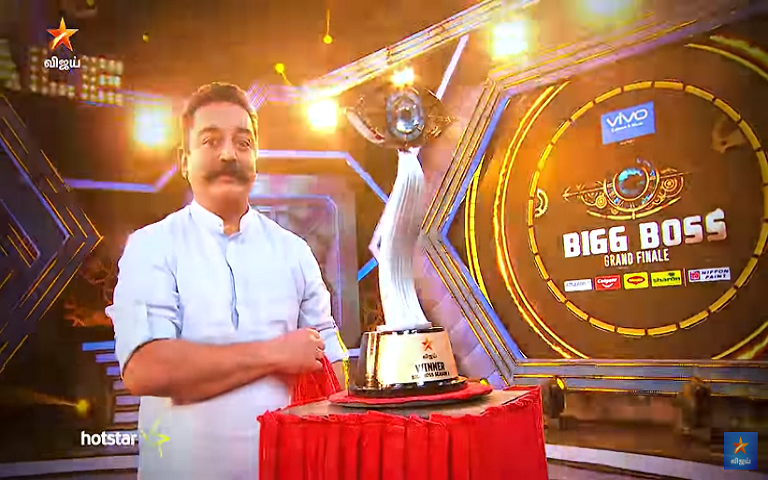 Bigg Boss started with all the former S2 contestants joining Ulaganayagan Kamal Haasan on the stage. It's time we see all of them together again, or shall we say reunion without the four finalists. 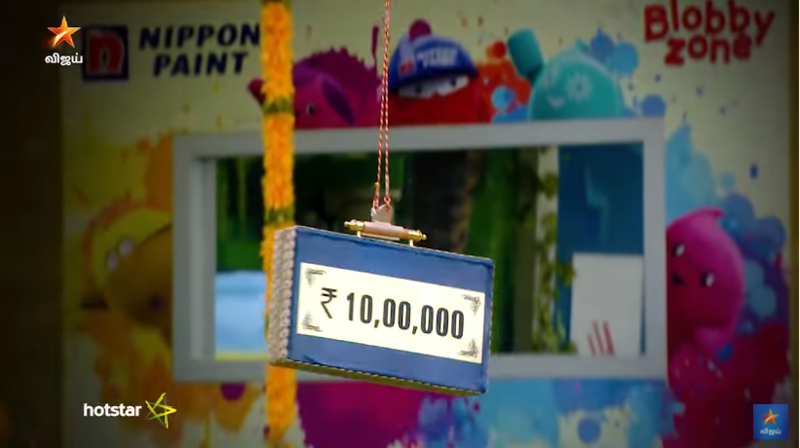 Today, some of the finalist's friends visited them in the Bigg Boss house with some gifts. Among them are Swapoopa, Krishna, Sunanina, Kalaiarasan and Ashok. These people are among the artists in the movie industry. But the highlight of the day was the Bigg Boss S2 Winner Trophy! 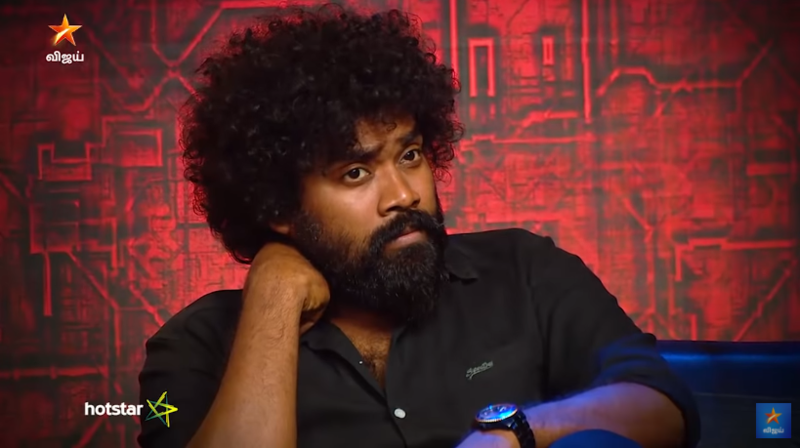 Kamal mentioned that it will be sent to the house, so that the finalists can hold and feel it first before the winner is announced. Tollywood heartthrob Vijay Devarakonda joined the finalist to personally deliver the trophy and to promote his upcoming and first Tamil movie 'Notta'. After that, he requested to speak to Kamal sir and asked permission to join him on stage. The crowd started cheering when he joined Kamal! "This is the first time I got the opportunity to meet Ulaganayagan," expressed Vijay in happiness. But as much as they try to drag the show by bringing in celebrities, but it seems to be quite boring. Everyone was just waiting for the result. Kamal had a small chatting session with the housemates before he finally announces the news! 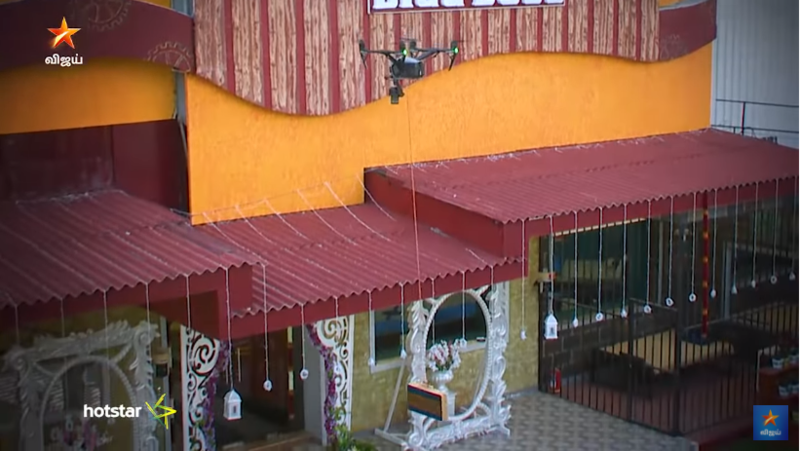 "A box containing RS10 Lakhs is sent to the house in a drone. Any of you can take the cash and leave the house." “I’m tempted to take the cash and leave, but I will not do so if the 10 lakhs is from the winner’s prize money. I’m very sure I won’t win this game,” said Aishwarya. But the rest showed no interest in taking the money. Once they clarified with Bigg Boss that it’s from the prize money, Aishwarya changed her mind and dropped her idea of leaving with the cash. That’s when a bunch of dancers suddenly entered the house and started dancing. They kept on dancing with the housemates and blindfolded them. 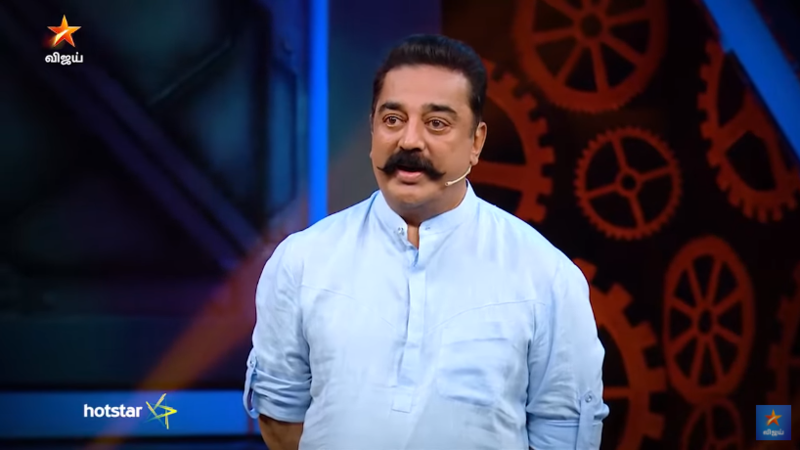 It was Janani who left the house and joined Kamal on stage. And Mumtaz was not happy about this decision. "Janani deserved to be in the top 3 compared to Vijayaletchumy, who only stayed in the house for 40 days," said Mumtaz. Even Kamal felt the same! "I expected you to be in the show and win! Your diplomacy will take you a long way," he expressed. However, Janani's participation was not up to the par in the show. She tried her best to stay quiet in all controversies, and somehow make others wonder if that's her character in real life. But even when Vijayaletchumy came in the middle, she was strong-willed and proved herself. In Bigg Boss S1, Harish Kalyan, Bindhu Madhavi and Suja Varuni didn't make it to the finals, as they came in as the wild card entry. The viewers voted them out due to this reason. 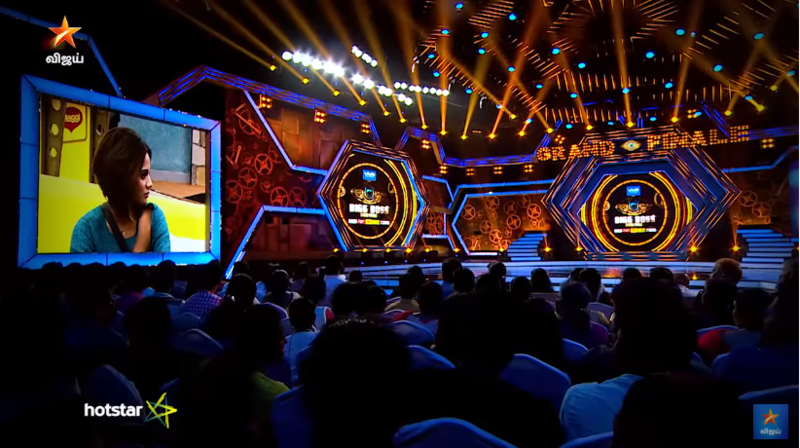 But Vijayaletchumy survived and went to the finals, as she managed to capture the audience's heart. She might have become the crowd's favourite if she joined on the first day itself. Now Vijayaletchumy, Aishwarya and Rithyvika are going to the finale. Time to finally find out who will be winning the title tonight!